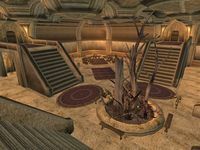 Redoran Council Hall is located Under-Skar in the Manor District. 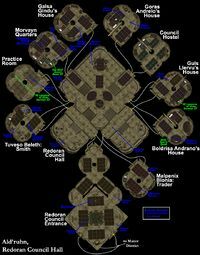 If you have the Entertainers official plugin installed, a copy of The Battle of Molag Beran can be found in the Morvayn Quarters. 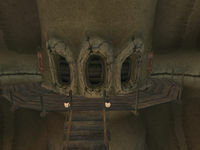 The door to the Morvayn Quarters is on the ground floor of the Redoran Council Hall, but there is no corresponding map icon with the name displayed. This is because there is another door immediately on the floor above, with its own icon covering the one beneath. This Morrowind-related article is a stub. You can help by expanding it. This page was last modified on 19 October 2018, at 20:09.